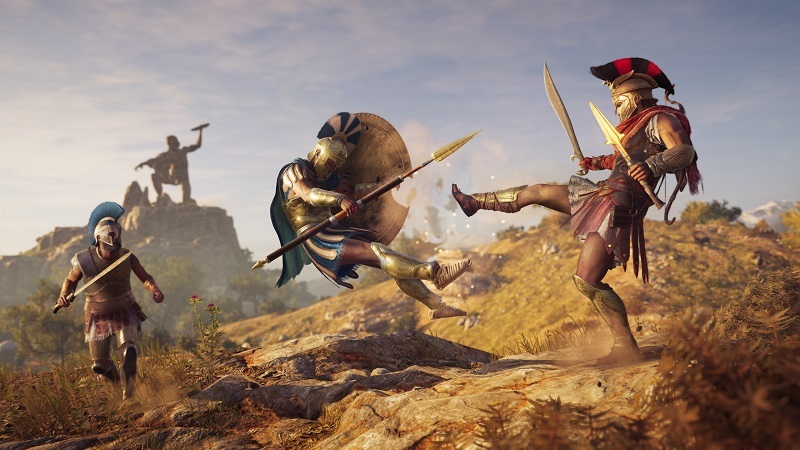 Nvidia has officially released their 411.70 drivers for Windows-based 64-bit operating systems, ships with "Game Ready" support for Assassin's Creed: Odyssey, Forza Horizon 4 and FIFA 19, as well as a "fixed issue" for Monster Hunter: World which addresses "Low frame rate in the game when run on low end CPU". Strangely, this driver release is almost identical to Nvidia's 411.63 drivers, so much so that Nvidia's official release notes say version 411.63 instead of 411.70 on the first page. A notable change is that Nvidia's Geforce 411.70 driver is 469.19MB in size for the Windows 10 version, which is significantly smaller than the 517.11MB Geforce 411.63 driver that it replaces. Another change that is worth taking note of is that bug number 2079538 has been moved from "Fixed Issues" to "Windows 10 Issues" in driver 411.70, suggesting that Nvidia's 411.63 drivers failed to fully address the bug. Below are the full release notes for the Windows 10 version of Nvidia's Geforce 411.70 driver. Provides the optimal gaming experience for Assassin's Creed Odyssey, Forza Horizon 4, and FIFA 19. Includes support for NVIDIA GeForce RTX 2080 and RTX 2080 Ti graphics cards. - This driver release provides full support for the new Vulkan 1.1 API and passes the Vulkan Conformance Test Suite (CTS) version 1.1.1.2. - Includes interoperability with CUDA 10.0. This driver release supports the Vulkan VK_EXT_swapchain_colorspace and VK_EXT_hdr_metadata extensions allowing applications to output HDR content to HDR displays via the Vulkan APIs. System Info shows Boost Clock values (instead of Base Clock) for Turing and later GPUs. As with every released driver, version 411.63 WHQL of the Release 410 driver has open issues and enhancement requests associated with it. This section includes lists of issues that are either not fixed or not implemented in this version. Some problems listed may not have been thoroughly investigated and, in fact, may not be NVIDIA issues. Others may have workaround solutions. b, Perform a Clean or Express installation of the NVIDIA driver. You can join the discussion on Nvidia's new Geforce 411.70 WHQL driver on the OC3D Forums. People on various forums are reporting 10% less performance in various benchmarks on their Pascal based 1080 and 1080 Ti cards with the 2 latest RTX ready drivers, Probably just a bug but worrying non the less. Let the gimpening begin !!! Has tinfoil been on sale recently? Yes because it looks better with RTX ON in your life!